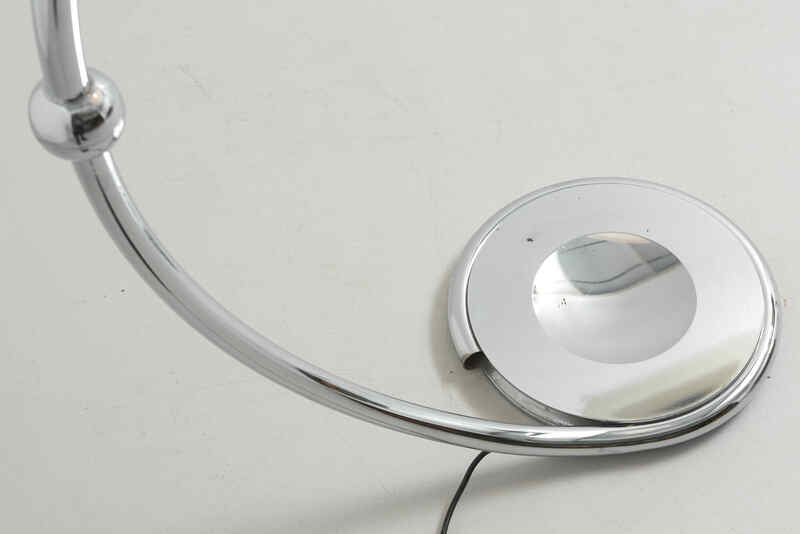 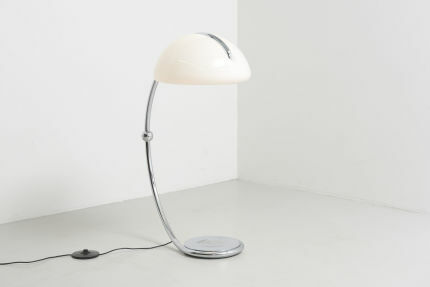 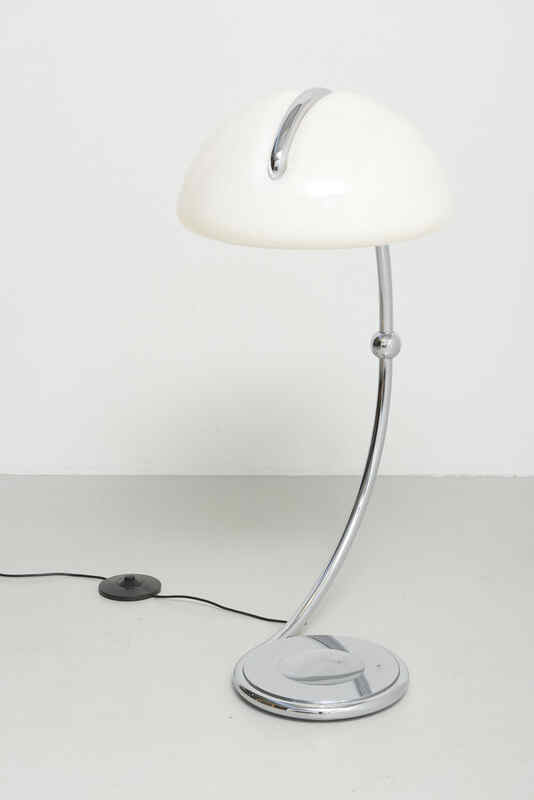 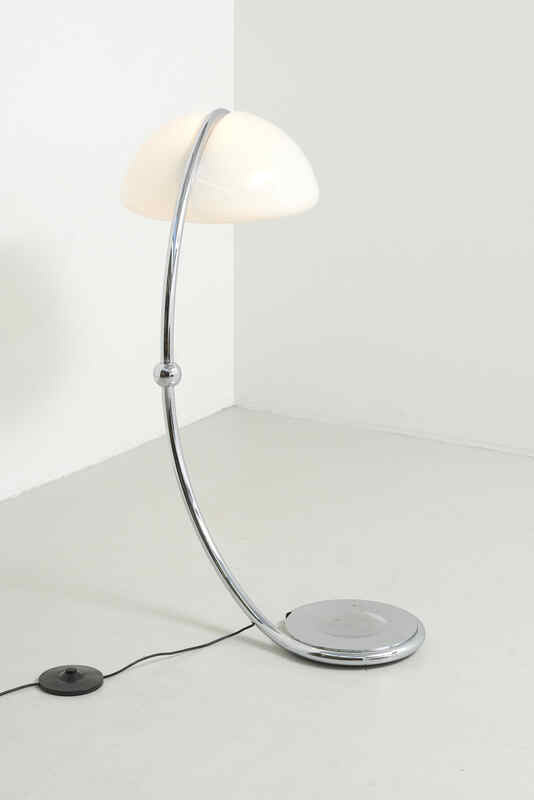 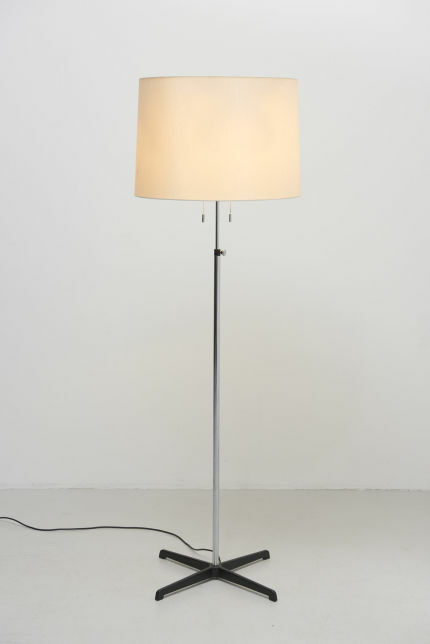 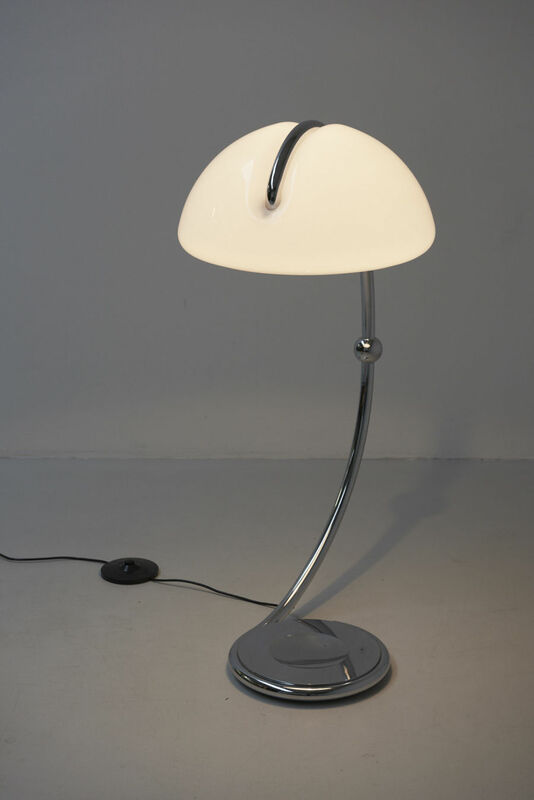 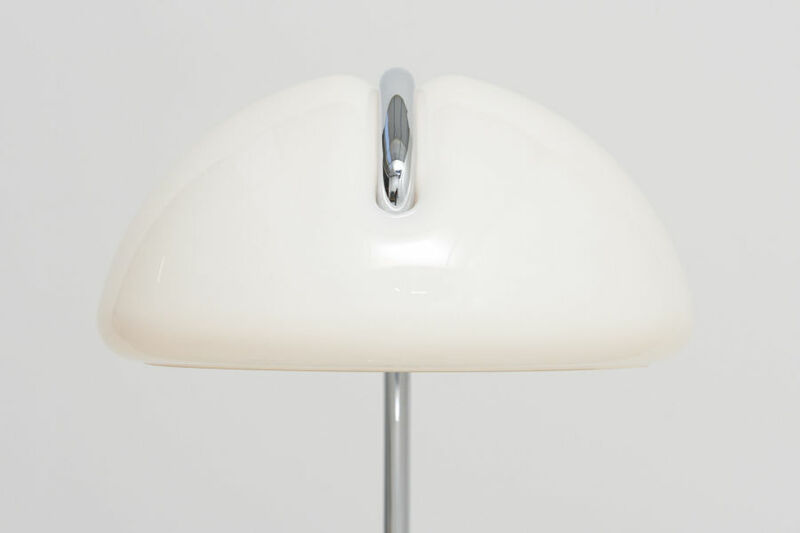 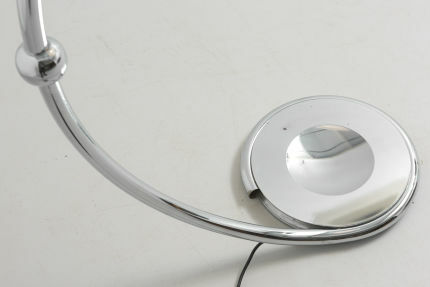 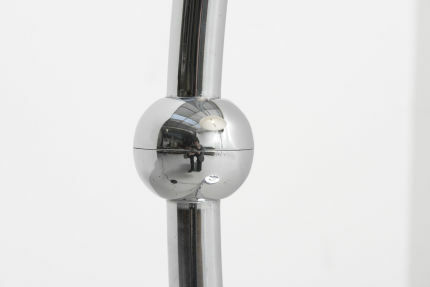 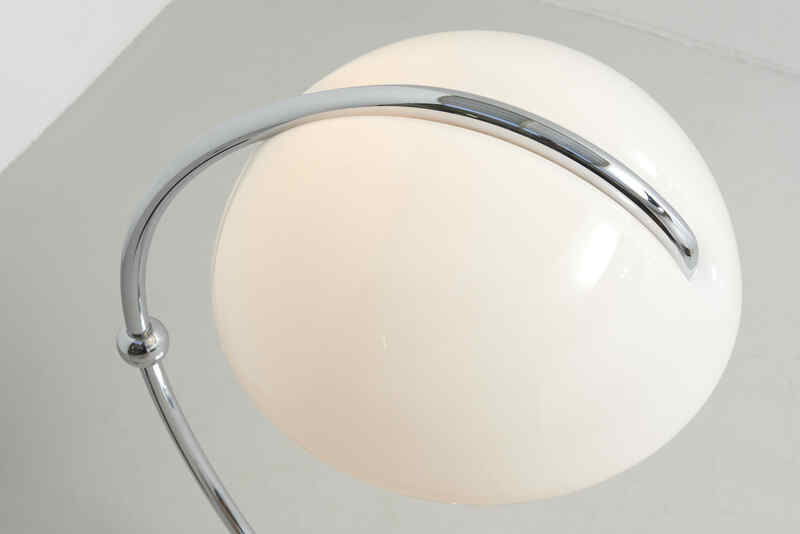 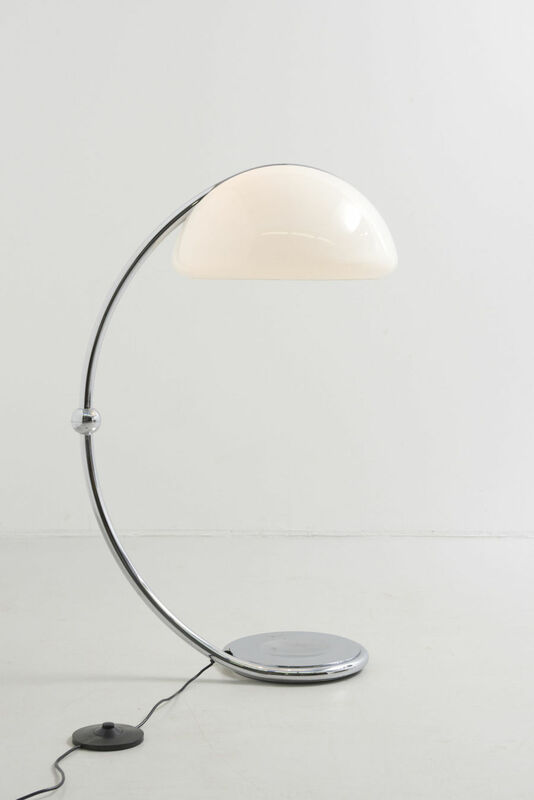 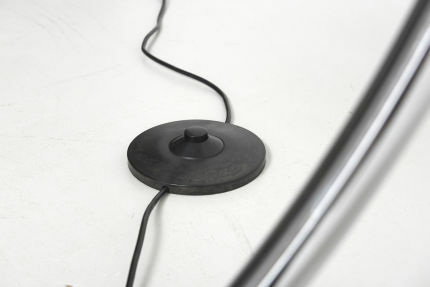 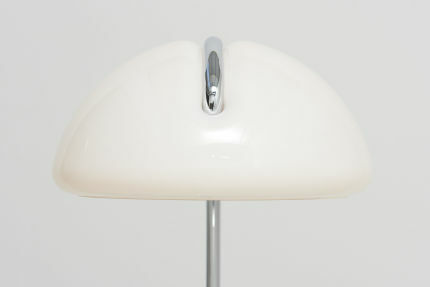 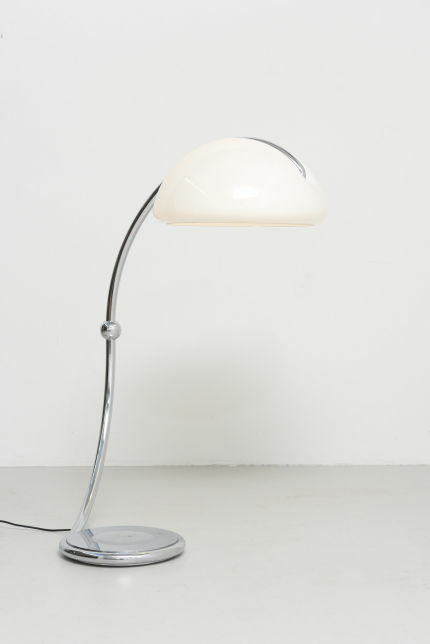 A 'Serpente' floor lamp in chrome, designed by Elio Martinelli in 1965. 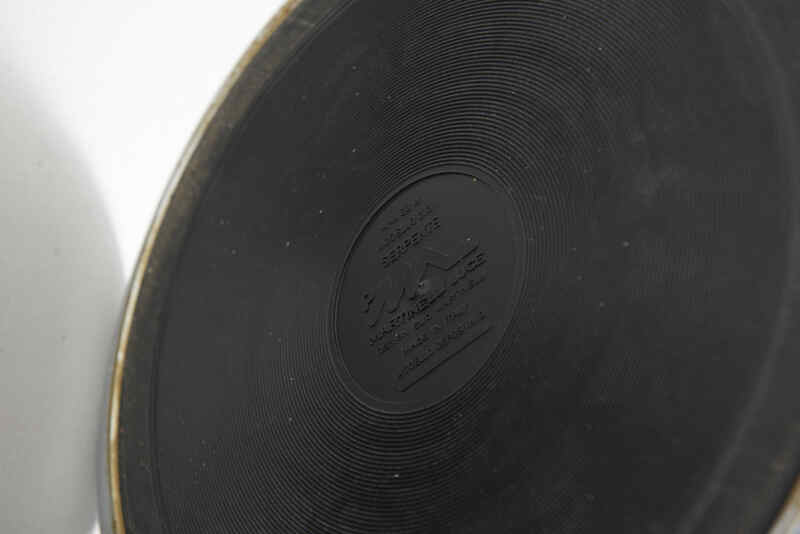 The upper part can be turned 360°. 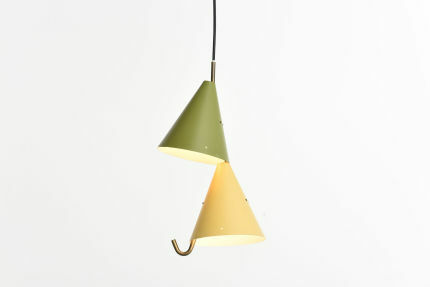 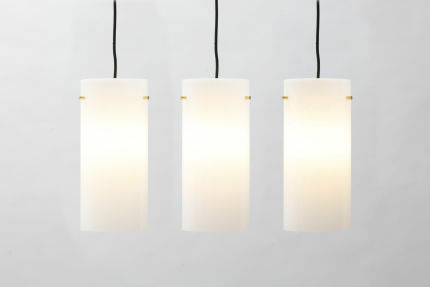 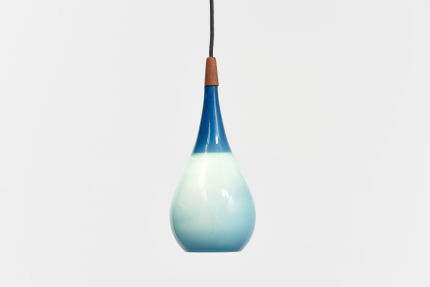 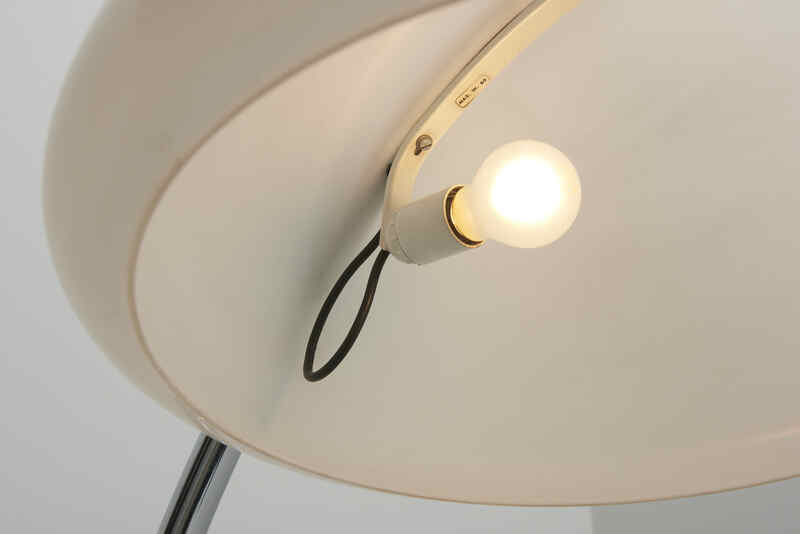 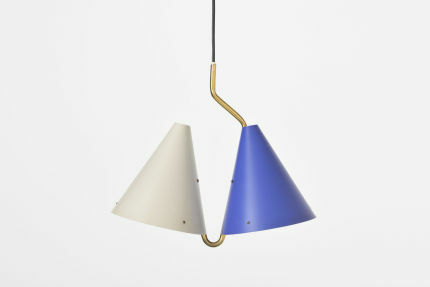 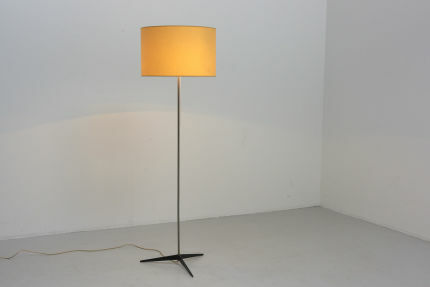 Made by Martinelli Luce in Italy. 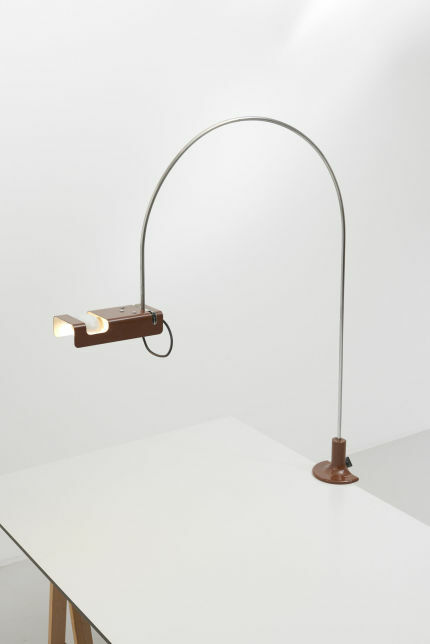 The Serpente is in the permanent collection of the MOMA in NY.